I can't wait until I live somewhere where I can spend time outside. In this fantasy of living out of Philly, Alex and I live somewhere with room for a big garden, and our house has a big sunny kitchen. Actually, it doesn't have to be big. Just sunny. The reason so many of my pictures are weird looking, besides me taking them really fast, is that I get almost no natural light in my house. Especially since there's still a tree in my yard, that's going to be there forever. None of my vegetables in the 'yard' are getting any sunlight, so the tomatoes are just sitting there, green. Getting bigger and bigger, but not ripening! It's depressing. Poor plants. My brussels sprouts won't be grown until Christmas. 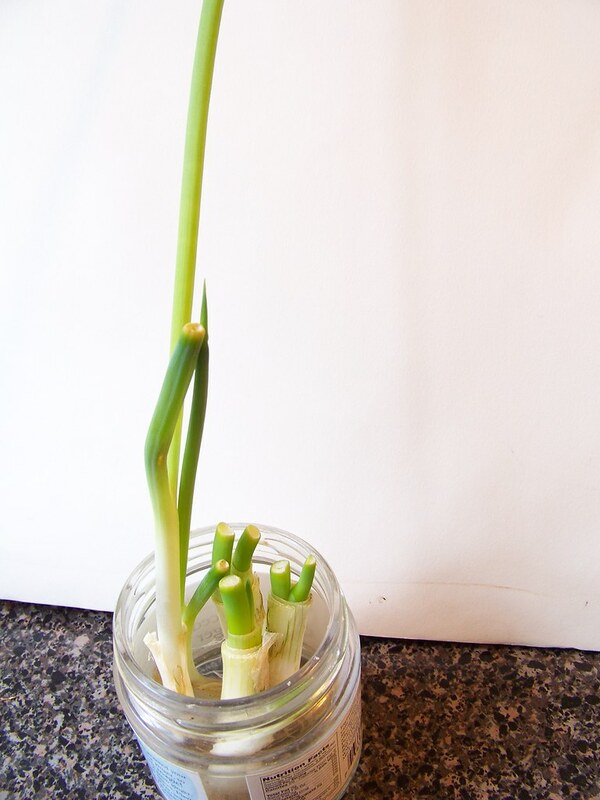 I've been keeping the root ends of my scallions, and growing new ones in jars of water! Soon they'll be planted, and I will have a forest of scallions. Today I made bacon candy. I wanted something easy and sweet and salty, and a little hint of spice. This was it. Yum. Preheat oven to 350. 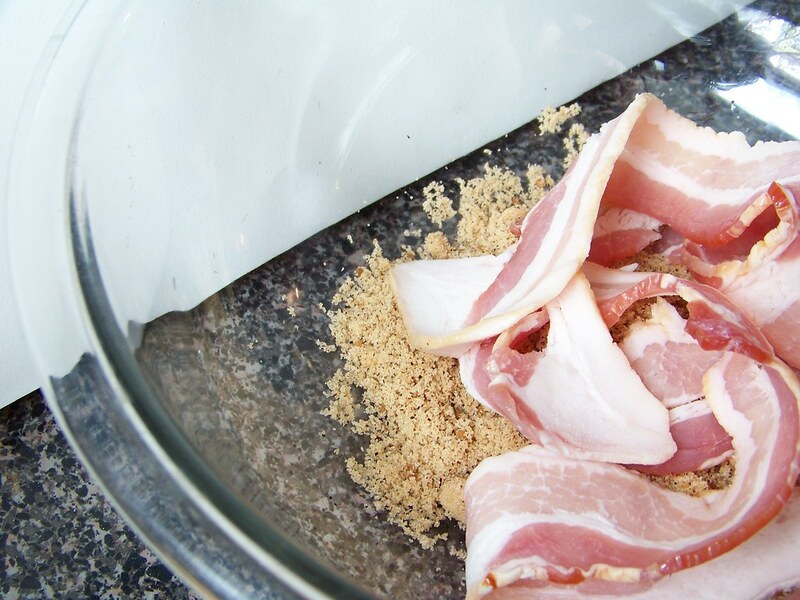 Combine sugar and chili, then press bacon slices into the sugar mix, shaking off any extra. 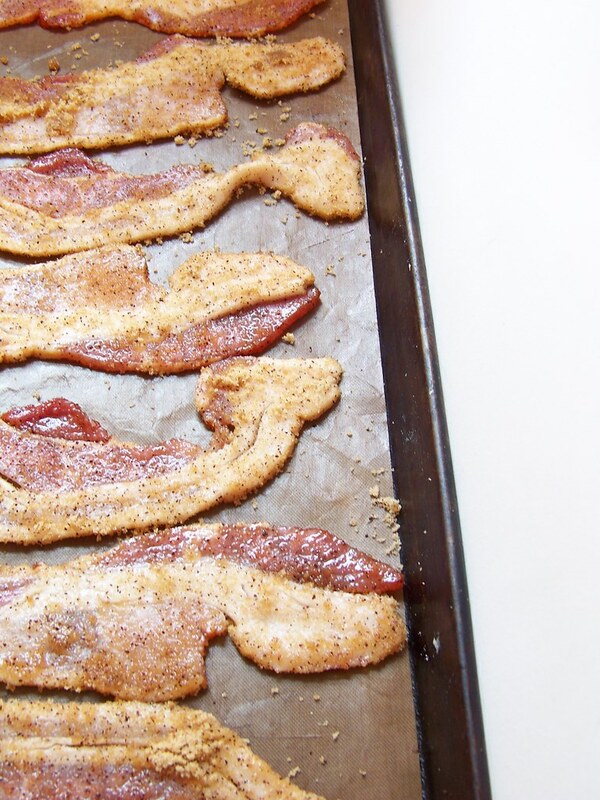 Line bacon on a cookie sheet. 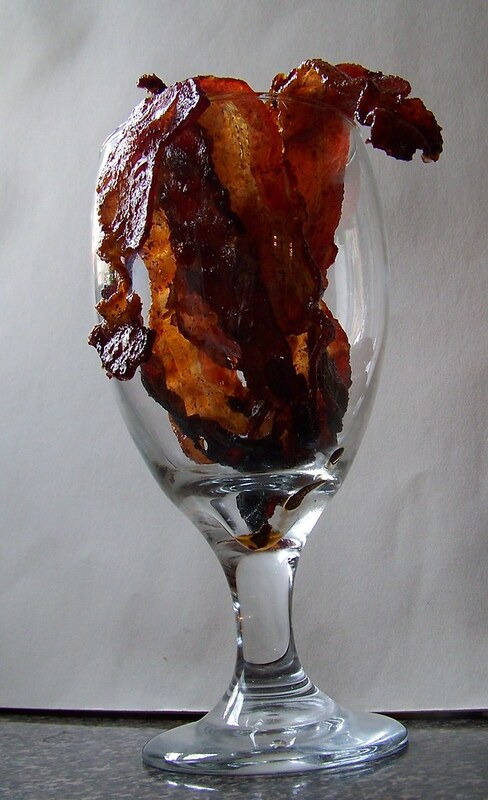 Bake for 10-15 minutes until bacon is crispy. Let cool, carefully blot with paper towels, and eat. Going to try this now. Thanks for the recipe.